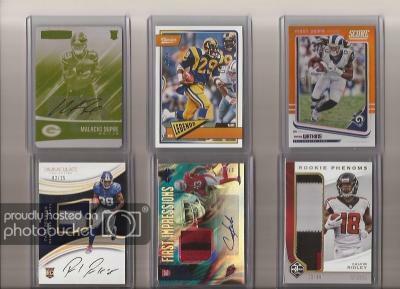 [FOR SALE - Not Priced] Mix of Football Cards For Sale: OBJ, Saquon, Baker, and More! 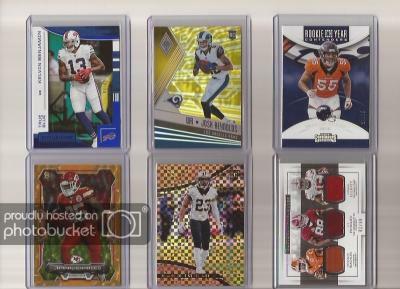 Thread: Mix of Football Cards For Sale: OBJ, Saquon, Baker, and More! 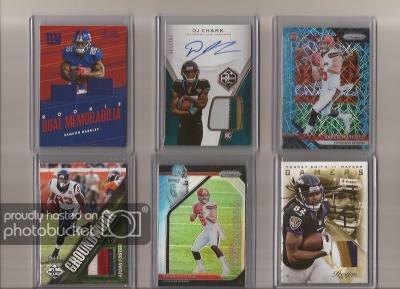 Mix of Football Cards For Sale: OBJ, Saquon, Baker, and More! I've some football cards for sale. Throw out offers. Looking to sell only or might consider trading for 49ers cards of equal value. Please no international. I collect Penny Hardaway. Looking for high end inserts, parallels and all serial numbered cards. Collection of over 1200 different. How much would you want for the DJ Chark and the two Baker Mayfield Prizms? Any 49ers below of interest? Not at this time. Thanks though! 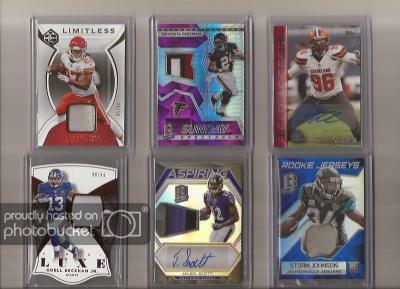 Which Pettis auto? I have quite a few. How much on baker Prizm Lazer? How much for all the autos and patches and Baker? Collecting UNC Tarheels autos and game used with them pictured in UNC Tarheel uniform in all sports.